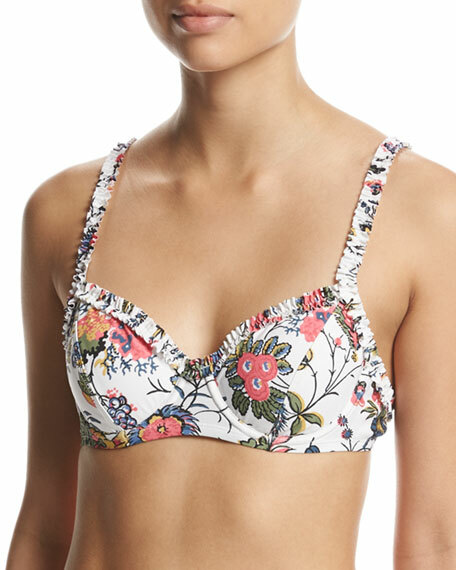 Tory Burch "Gabriella" swim top in floral-print microfiber with ruffled trim. Molded cups for lift and support. For in-store inquiries, use sku #2228228.